Major is the Lead Ops Engineer for Rackspace Cloud Servers. Click here to follow him on Twitter. Kernels are often overlooked but they’re one of the most critical pieces of software – if not the most critical piece – on a Linux system. At Rackspace, we’ve traditionally kept this simple for you by maintaining kernels outside the instance. More and more customers however have asked for greater control over the kernels they run. We’ve heard you and are happy to begin introducing this capability today with our release of the Fedora 15 image. Our new model going forward moves the kernel inside the instance. This means you can either run the included kernel provided by your Linux distribution OR replace it with any custom kernel you build on your own. Simplicity or control – you choose what works best for you. By allowing you to run the kernel of your choice, you’re able to add modules and easily change kernel parameters through your distribution’s package manager and kernel tools. If you need support for something that doesn’t exist within the kernels provided by your distribution, you can also download and compile a vanilla kernel to meet your needs. Controlling your own kernel means you choose when to install new kernels that provide additional security features or vulnerability patches. You simply install the new kernel, update your grub configuration file and reboot when the time is right. Using your Linux distribution’s kernel ensures the highest level of compatibility between your distribution’s applications and the kernel itself. Many utilities and applications may require certain support from the kernel and that support may be limited to certain versions of the Linux kernel. This additional level of stability reduces application errors, kernel panics, and memory leaks. There’s no need to worry if you’re not familiar with managing your own kernels. Your instance will have a kernel installed from the initial build and most distributions will seamlessly install newer kernels via the distribution’s package manager. The experience will be very similar to running Linux on a bare metal server. Going forward, we will be phasing in this feature as the default for all Rackspace Cloud Server Linux images. Fedora 15 is the first and other new images will follow over time. 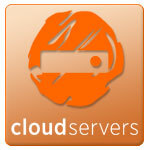 Please note that nothing changes for existing Cloud Server instances. However, if you wish to start managing kernels on these instances, you may convert them at your convenience. Our Cloud Servers product is rapidly evolving and we’re striving to give you the stability and flexibility you demand along with the simplicity and ease of use you expect from Rackspace. If you have additional suggestions on new features for Cloud Servers, please visit feedback.rackspacecloud.com and join our Product Feedback forum. Major Hayden builds OpenStack clouds as a principal architect at Rackspace. Major is a core developer in the OpenStack-Ansible project with a focus on improving information security in OpenStack deployments. He holds multiple Red Hat and Global Information Assurance Certification (GIAC) certifications and has written extensively about securing virtualized Linux environments. Outside of OpenStack, Major has contributed to several open source projects including dracut, systemd, and Ansible. Within the Fedora Linux community, he serves on the Fedora Security Team and Fedora Server Working Group. He enjoys writing on his personal blog, major.io, and he talks about technical topics on Twitter as @majorhayden. One thing that occurs to me is that for folks who do not have custom kernels, a yum update (or eventually aptitude upgrade) that includes a new kernel will result in a reboot requirement. This may be a new process for some customers.